an initiative of D5240 DG Nick Frankle 2016-2017. 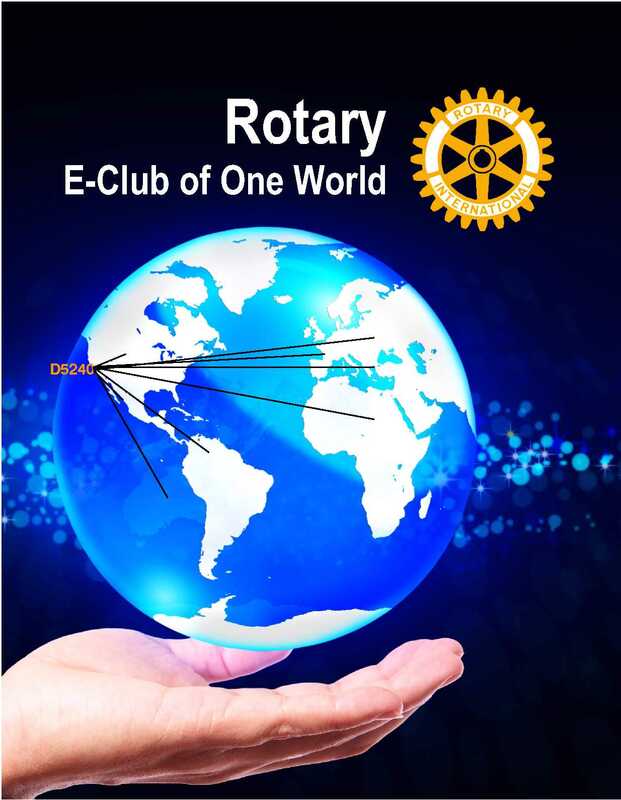 The E-club of One World was the inaugural Peacebuilder Club member and appointed Rtn Frank Tripicchio to Chair the Peacebuilder Club committee. Report received! Congratulations on a fabulous year. 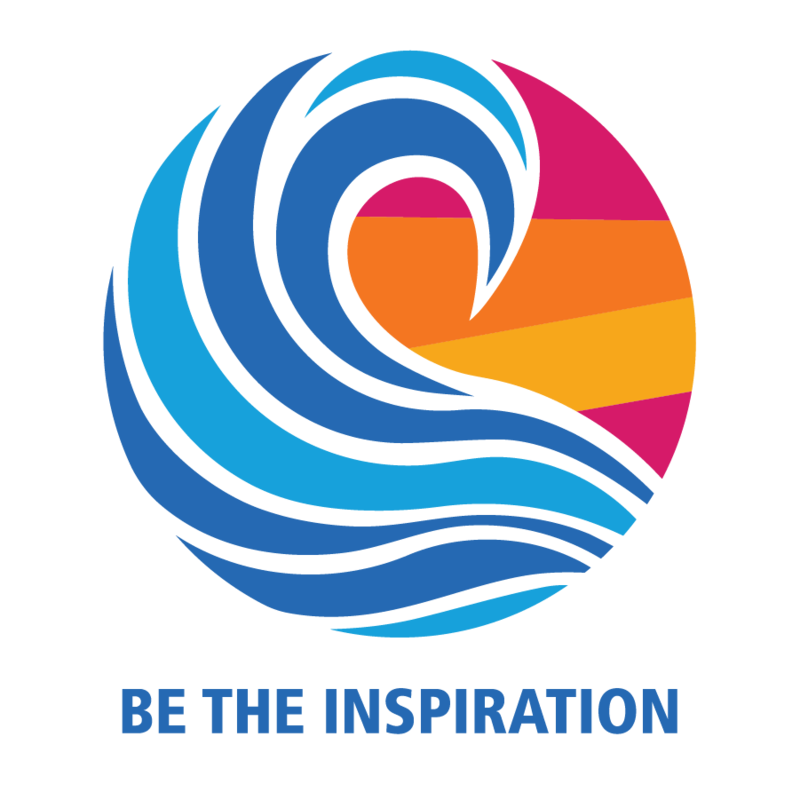 Your club's commitment to peace and the Peacebuilder Club program is outstanding. 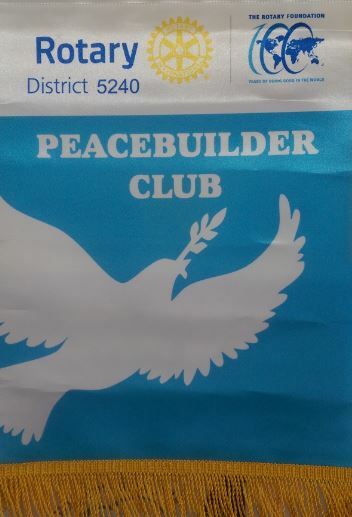 Your club has definitely earned the Peacebuilder Club banner for 2016-2017. 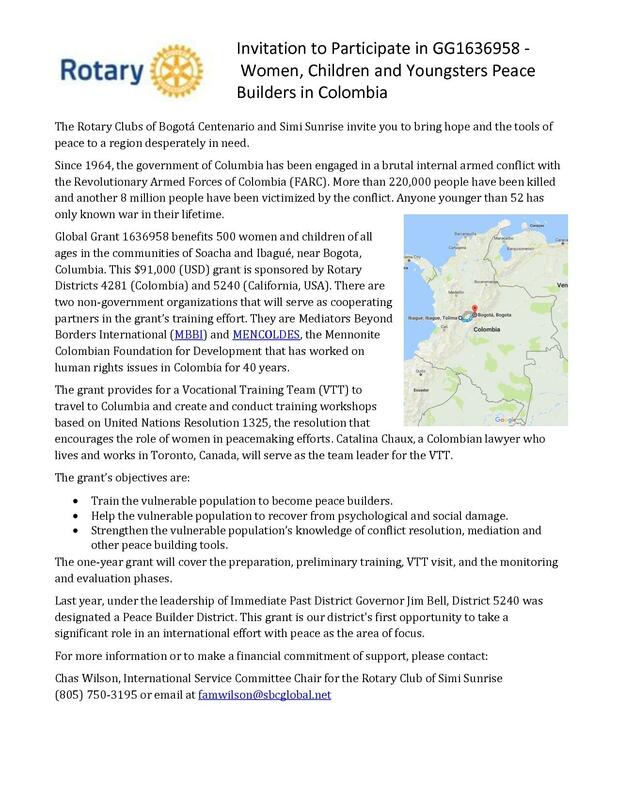 Peacebuilder Club members can support the efforts of this NGO by partnering in the global grant. Contact Bianca via her website.